Welcome to our newest member of the INDAC product range. 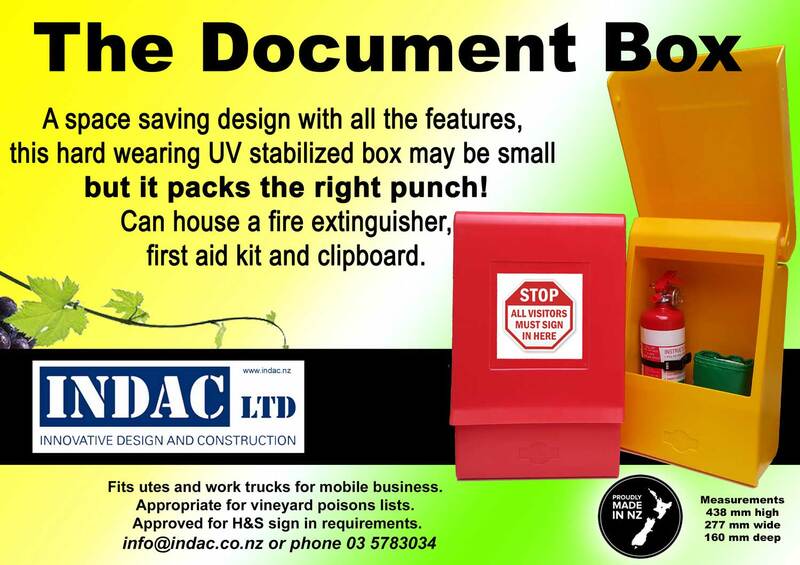 A space saving design with all the futures, this hard wearing UV stabilized box may be small but it packs the right punch! 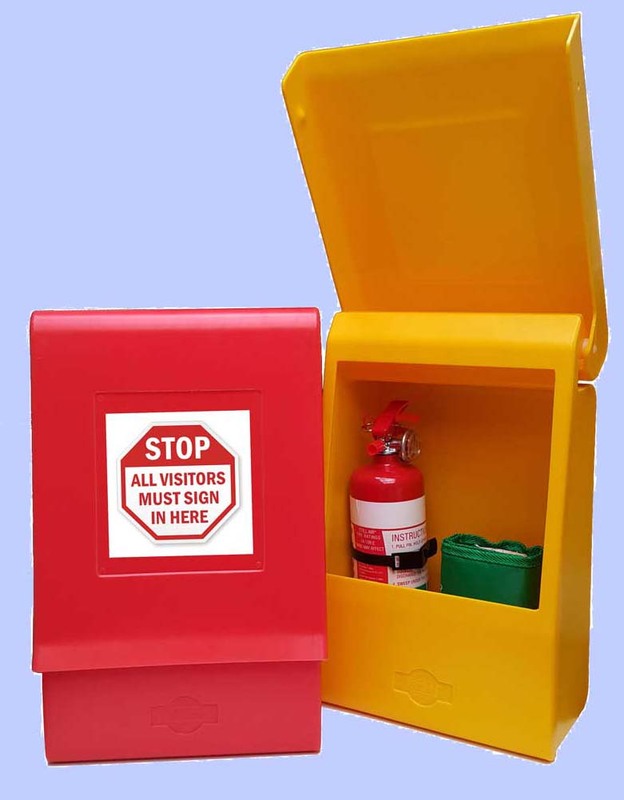 It can house a fire extinguisher, first aid kit and clipboard. Fits utes and work trucks for mobile business. Appropriate for vineyard poison lists. Approved for H&S sign in requirements.